Who Can Earn the FASC? The Financial Analysis Specialist Certification (FASC) Program requires participants to complete a project in order to complete the program and earn the FASC designation. This project is worth 100 points and accounts for 50% of the total grade within the program. As such, non-submission of this project will result in an automatic failing grade for the FASC program. Please use the information provided in this study guide to complete the project. Once you have completed this project, please send it and your request to take your desired exam date at least 2 weeks before the scheduled exam date using the following form: Schedule Your Exam. To schedule yourself for an exam date, this project must be received, completed, at least 2 weeks before the exam date. For example, to take the October 10th exam date, this project must be received (as well as a request to take the exam) no later than September 26th. Please send it to Team@FinanceTraining.com. After you have submitted your completed project, you will be able to schedule your exam. George Brown opened his own local store 5 years ago in a small city in the US. He has worked more than 10 years in the same industry, namely brewing. He knows all about beer, how to make it, how to advertise it, how to sell it. He opened a wholesaler store as has very good contacts with many manufacturers. As George had the necessary expertise to select the proper brands for the market, he more than doubled his business by the third year. All the predicted industry trends were encouraging, so George expected his sales to increase or at minimum keep the current level. However he had bad feelings about his cash flow situation. He knew he has to take a closer look, especially as he planned to get some external funding to fuel further growth. 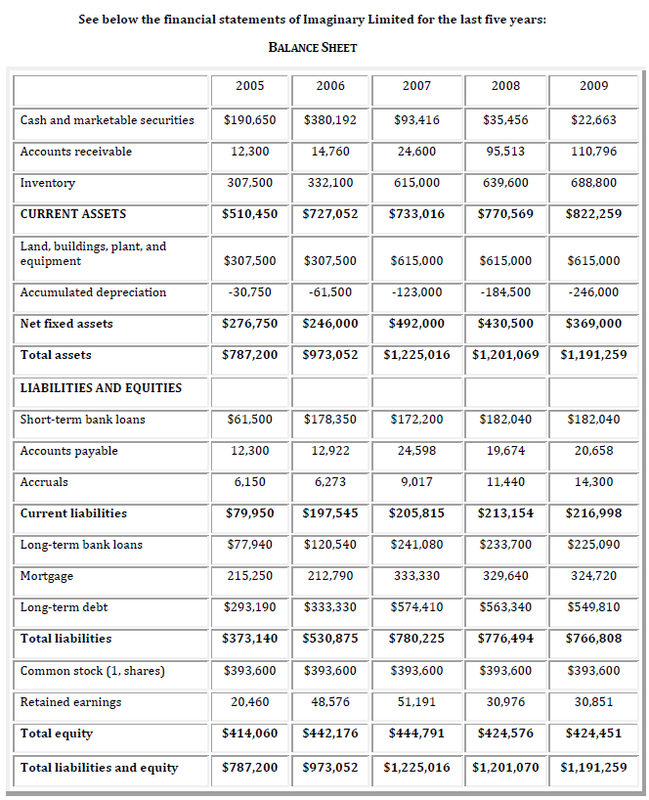 He also saw his financial statements and realized that in 2008 and 2009 the net income was negative. He knew he had to act immediately before his customers and suppliers found out. He decided to hire an intern as financial analyst to analyze the situation and make recommendations on how to improve it and how to get the desired bank loan. He quickly found an agile lady: Sarah. Which financial statements should Sarah present and which should she build so as to develop a fair assessment of the firm’s financial condition? Explain why? What calculations should Sarah do in order to get a good picture of Imaginary’s performance? Sarah knows that she should compare Imaginary’s condition with an appropriate benchmark. How should she obtain the necessary comparison data? Besides comparison with the benchmark what other types of analyses could Sarah perform to best analyze the firm’s condition? Perform the suggested analyses and comment on your findings. Comment on Imaginary’s liquidity, asset utilization, long-term solvency, and profitability ratios. What arguments would have to be made to convince the bank that they should grant Imaginary the loan? If you were the commercial loan officer and were approached by George for a short-term loan of $20,000, what would your decision be? What recommendations should Sarah make for improvement, if any? What kinds of problems do you think Sarah would have to handle when doing financial statement analysis of Imaginary Limited? 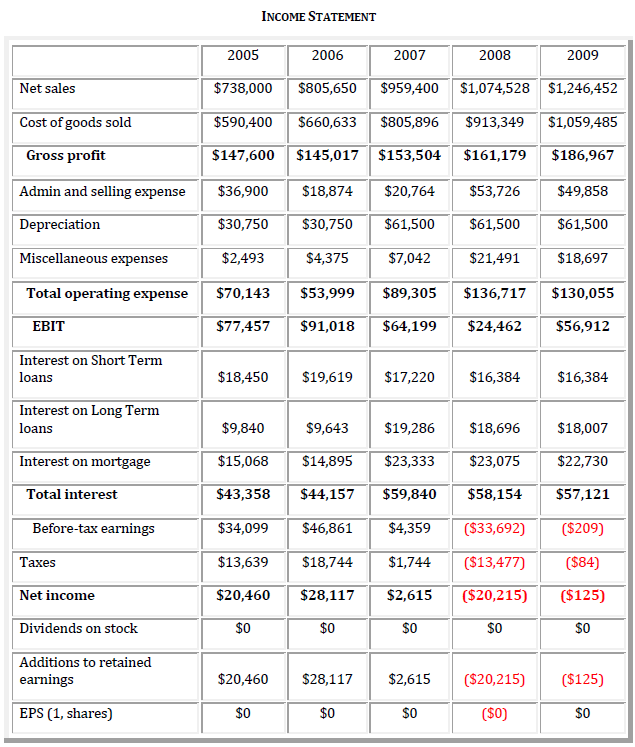 What are the limitations of financial statement analysis in general? Start your financial analyst training and certificate program today for just $999 by completing our registration form. To learn why over 15,00 others have joined our training and certification programs please read about the FASC Benefits . COPYRIGHT © 2007-2018 FINANCE TRAINING SOCIETY. ALL RIGHTS RESERVED.